Point. It's always fun to point the blame at someone, and everyone loves to blame CEO Stephen Elop for Nokia's woes. As the Finnish phone manufacturer began to burn, Elop came aboard and made a deal with his former employer, Microsoft, to adopt the Windows Phone platform. Pundits thought he was insane, and have criticized him repeatedly for the move. 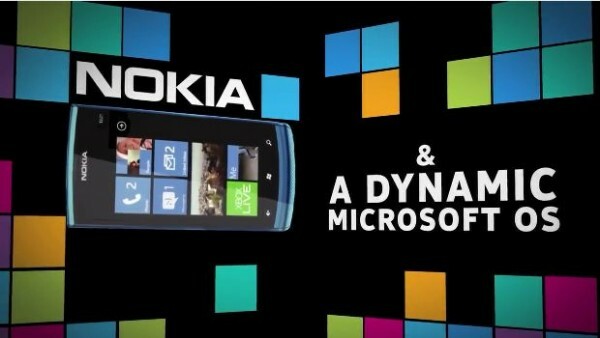 These criticisms grow louder as Nokia reports a $1.3 billion euro ($1.76 billion) loss in the first quarter of 2012. According to the financial statements, the company burned through 700 million euros in cash during the same quarter, and has a little under five billion euros in cash left. The company may face bankruptcy in two years. What's to blame? Poor phone sales. Device revenues plummeted 29 percent year-over-year. Smartphone revenues were cut in half, while sales in feature phones fell a third. The launch of the Lumia 900 was just two weeks ago, so it's still too early to judge if that device was able to stop the bleeding. But there's one thing that I'd like to stress here: criticizing Elop once again over Windows Phone after these results is foolish: one Nokia Windows Phone existed in the first quarter of this year. How can we call this a success or failure yet? Elop can do nothing to change Nokia's position in the market. From the top, it gets pressure on smartphones through Apple's iPhone and a host of upper-end Android manufacturers. On the low end, budget featurephone makers like ZTE eat its lunch. Since Nokia has hands in both pots, growth on either end gives the company little wiggle room. To break out, Nokia had to do something drastic. Releasing an Android device wouldn't make much sense: Nokia's devices would be competing with established players like Motorola and Samsung. Renewing focus on the low end was equally unwise: while the market remains large, it is contracting as more consumers choose to move up to smartphones. What was left? Windows Phone. The adoption of the platform (and a partnership with Microsoft) gives Nokia two advantages. First, it cements position early as a leader on the platform. Second, it enables Nokia to produce stand-out devices and rebuild reputation. The strategy paid off: the Lumia 900 is Windows Phone's top selling device to date, and has received generally positive reviews. Nokia placed itself back in the forefront by making a gamble. There was no path forward for the company without some short-term pain. Doing nothing is no answer. Featurephones are a dying breed, and would result in a slower but inevitable death. Sticking around with Symbian is equally foolish: third-party support for the platform is dwindling, and development requirements sucked away precious resources that Nokia increasingly does not have. Can and should Nokia eventually adopt Android? Of course, and such a move is wise as few manufacturers depend on a single platform. But first, Nokia needs to reestablish its brand, and Windows Phone is helping to do just that. That said, Nokia must solidify its position in the featurephone market once again. Yes, I did say the market is dying earlier, but the high-volume nature will at least generate revenue for Nokia in the short term as it restructures its smartphone strategy. Elop says this is a focus during the current quarter, and I tend to believe him. As CEO, Stephen Elop does shoulder the blame for the failures of his company. Windows Phone however is not the reason, and doesn't belong in the discussion at this point. Talk to me next quarter when Windows Phone plays a part in the bottom line -- maybe then I'll be willing to admit Nokia + Windows Phone was a failure. Right now, the jury's still out on that one. Editor's Note: Ed Oswald and Joe Wilcox wrote opposing positions about Nokia's Windows Phone strategy, independently today (we didn't want one directly responding to the other but to circumstances). Please read Joe's "Nokia does the Windows Phone death dance".